A team led by researchers at Baylor College of Medicine has uncovered an unexpected mechanism that can explain a form of Batten disease called neuronal ceroid lipofuscinosis 8. The findings published in the journal Nature Cell Biology provide potential new targets for future therapeutic interventions for this rare and incurable disease. "Batten disease refers to a group of diseases that are part of the lysosomal storage disorders. At the core of these conditions are problems with the cell's ability to clear the waste produced by its regular functions, which leads to the accumulation of cellular waste to toxic levels," said first author Dr. Alberto di Ronza, who was a postdoctoral researchers in the Sardiello lab while he was working on this project. The lysosomes are the structures in charge of clearing the waste. Lysosomes are sacs containing enzymes, a type of proteins that break down cellular waste into its constituent components, which the cell can recycle or discard. When lysosomes fail and cellular waste accumulates, disease follows. 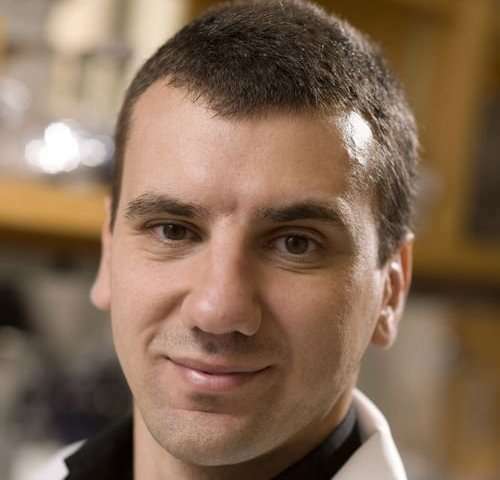 "When we started this project, we knew that neuronal ceroid lipofuscinosis 8 was associated with defects in the CLN8 protein, but we didn't know how the defects led to the disease," said corresponding author Dr. Marco Sardiello, assistant professor of molecular and human genetics at Baylor. It was a mystery because CLN8 is not located in the lysosome. It works in a completely different part of the cell, called the endoplasmic reticulum, which is where many molecules, including lysosomal enzymes, are synthesized in the cell. The mystery was how mutations in a protein that is not in the lysosome would result in a lysosomal storage disorder. To solve the mystery, the researchers first looked for proteins that would assist on the exit of lysosomal enzymes from the endoplasmic reticulum en route to the lysosomes. "We narrowed it down to four candidates and CLN8 was one of them. It was the only one that interacted with two-thirds of the lysosomal enzymes we tested," di Ronza said. Then, the researchers worked with mice carrying defective CLN8 molecules, a mouse model that recapitulates many of the characteristics of the disease observed in humans. They determined that in these mice the lysosomes have fewer lysosomal enzymes. "Things started to click," Sardiello said. "If CLN8 in the endoplasmic reticulum mediated transfer of lysosomal enzymes, then having defective CLN8 proteins could explain why fewer enzymes make it to the lysosome." In addition, the researchers discovered that a specific piece of CLN8 acts like a hook, 'catching' lysosomal enzymes to facilitate their exit from the endoplasmic reticulum. They also identified the molecular signals that help CLN8 move from the endoplasmic reticulum to its destination and back. These discoveries open potential new therapeutic interventions. "I started this research because I wanted to contribute to improve patients' lives," di Ronza said. "Patients with CLN8 defects have limited options, but I hope that this work will provide opportunities to explore potential new therapies for these patients." "Co-author Lauren Popp and I were very excited to contribute to this study that elucidated a novel mechanism of lysosomal formation," said co-author Dr. Laura Segatori, associate professor of chemical and biomolecular engineering at Rice University. "Our group has focused on understanding and manipulating the mechanisms controlling processing of lysosomal proteins. I am excited that this study provides novel findings that are likely to change the way we approach the study and treatment of lysosomal storage disorders." "The solution to this mystery was completely unexpected," Sardiello said. "We identified a new fundamental biological process that, when is disturbed, leads to this form of lysosome storage disease. This discovery is relevant not only to the Batten disease community, but also to other scientific communities studying basic mechanisms of the cell."